WordPress has made its impact as one of the best CMS (Content Management System) platform in the market. Now it is your turn to use it and help your business grow in no time. But only using WordPress wouldn’t help you. You need to implement strategies to improve the SEO. Yes SEO, as it is one of the most powerful tools to spread your wings in the market. If the content of your website is SEO optimized, then there is a better chance of getting ranked top in the search engine results. This will improve the visibility of your website among all and thus exposes your business in a better way to the potential customers. So, you must use those techniques which can improve the SEO on your WordPress website. But you must know the ways to implement SEO on your WordPress website. If you are new to WordPress and wondering how to optimize SEO for your website, then read on. 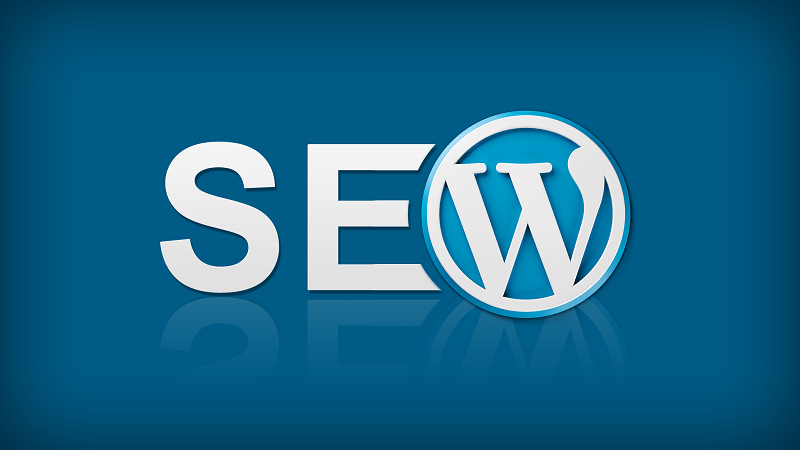 This article will unveil the tips to improve and implement SEO on your WordPress website. It has been noted that people care about how your permalinks look like. A permalink with some description catches the attention of views compared to the plain links. It has also been found that search engine gives priority to the sites that have a proper permalink. So, you should add permalinks that make an impact. Never use more than five words in the links. Remember to use hyphens instead of underscore as it may confuse the search engines. An even try to add the keyword to the permalink. You don’t have to worry about the plugins when using a WordPress platform as it offers several important plugins. These plugins help in improving the SEO of your website in a great way. For instance, the Google XML Sitemaps build exclusive XML sitemaps which allow automatic crawlers to browse the site and get useful information from it. You can’t go wrong with web host for your website. You must select a web host after a good research and choose the one that has a speed, space, and affordability. It is recommended to find a web host before you build your website as it may create issues if you do it later. Finding a reliable and best web host is important as Google may not find your website if you don’t have a good web host and you may lose potential customers. There is a lot of SEO plugin available on the WordPress platform which helps you to achieve anything. But using many plugins for a single website may harm your website. Therefore, you should dedicate a single plugin for a website. The plugins have different types of features which you can optimize for your WordPress website as per the need and requirement. The theme is an important part of building a website or blog. After all, it imparts the desired look and feels to a website. So, you need to be very careful in choosing the theme. If you chose the wrong theme, then it gives a wrong impression to the customers about your company. Themes also play an important role in the SEO process. There are few things that you must keep in mind before choosing a theme. They are an appeal, loading speed, SEO features, and functionality. So, be careful about these points as a little caution goes a long way to keep your website up and running successfully. It is no secret that social media has a great potential to make any website hit and running in the digital environment. The likes and shares in any social media platform spread the website link the internet world like a wildfire. Therefore, if you want to make an impact in the digital world, then you must do social media marketing of your website. You must have a page on the social media giant like Facebook. With WordPress, it is super easy to integrate social media into your page. But you should also promote other posts and website to get organic traffic. The content of the website plays a major role in making your website popular among users. Well-written, informative and nicely formatted content catch the attention of the customers. Good content also improves the SEO of a website. Therefore, you must take care that the content is up to the mark. You must provide a structure to the content by including heading and formatting them. Including more heading to the content make it easy to read and also improves the SEO aspect. It is rightly said that Content is the king in the world of digital marketing. Content has the power to either make or break your business. So, you must take extra care about the content that goes into your website. Ensure that the content you use for your website is fresh, original, well-researched and formatted before you upload them to the WordPress platform. Moreover, content carries the useful keywords that are caught by the search engines and rank the website. It is found that articles with images get 94% more views and effective blogging increases web traffic by 55% for brands. It is noted that about 80% of the marketers curate noteworthy content from trustworthy sources and repackage it for the readers. You must focus on attracting customers than only on the SEO aspects. This will eventually help you to get organic traffic to your website. Nowadays, people use their smartphone and tablets more than laptop or desktop to browse the websites. The websites that are created for desktop doesn’t suit the small screen of smartphones and tablets. But responsive websites are responsive in nature and adjust itself according to the size of the device it is opened on. A responsive website is also better ranked in the search result. So, you must build responsive website for a better customer engagement and also for getting ranked better in the search result. Using effective keywords in the content of a website definitely helps to get more traffic. But you must use keywords smartly and wisely. Google is using the artificial intelligence algorithm named Rankbrain to check the keyword spamming. As using too many keywords can have a negative effect on your content. Using irrelevant content also can damage the reputation of the website. It also impacts the search engine results of the website. Hence, it is important to use the keywords in the content correctly. Research the keywords that are mostly searched by the users. You can use some tools to generate effective keywords. It is also important to pick the keywords from your own data. To get rid of the over inserting the keyword you must use the LSI keywords which means which can use the synonyms of the keyword. Using caching plugin is the great way to speed up your blog. They help in two ways to improve the performance of your website. Cache plugin speeds up your website and also minimize the load on the web server. The cache plugins like cache static and dynamic reduce the page loading time. The W3 Total Cache is available in the WordPress and can be used. Other plugins that are available in the WordPress are page caching, browser caching, object caching and database caching. The whole point of using cache plugin is to reduce to page loading time which in turn improves the user’s experience. If the users had a good browsing experience, then they will revisit the page improving the organic traffic. Spam content on your website can do more harm than you can think. This content is unknowingly added to the content and annoys the users. Your website can also be flagged as spam in the search engine if spam content is present. So, the spam content is highly harmful to your content. The new version of the WordPress does not follow the link posted in the comments. However, you can also control the posting of spam content in the first place in the WordPress. You need to do some settings, and you are good to control the spam content. It is an effective way to keep your website fresh and updated by adding new content frequently. But you should also keep in mind to link the old post. As interlinking is a great way to feed the search engine. Interlinking creates a virtual map of the related post on the websites and allows an easy navigation both for users and bots. Including an image is the great way to improve the aesthetic of the website but you should not add any image of any size to the website. The images must be optimized before they are uploaded to the website. You must compress and resize the image to reduce the size of the image before uploading it. Resizing and compressing help to reduce the loading time of the website thus improving the website performance. Images definitely enhance the look of a website. But if the image is not used correctly, it might end up in damaging the impression of the website. So, if you will use the image correctly, then you will witness your website getting popular like never before. Nirdesh Singh has 10 years of experience in IT sector. He decided to start his own development company in 2012 and founded Zedex Info Pvt Ltd. WPfixs.com is an in-house product of his company where they provide WordPress support services across the world. He doesn’t code anything but He loves to write and share about technology, startups, and business very often related to his business. Thanks Robin for giving the basic seo idea about wordpress. I worked in wordpress for one year. But I failed to achieve my goal. And the fate have sent me blogger again. If I get the ability, I will move wordpress obviously. This time you article will help me to do better seo. Please keep it up. You have covered the most important parts for better SEO. One important factor is the loading speed of your website. You must work on optimizing your site so it fully loads in less than 3 seconds. This is from my own experiences, of course. One thing that affects your website speed is the hosting service that you have. This is why it is very important to do your research and learn more about hosting before purchasing from a service. Caching plugins can help with site speed but it is all about the hosting at the end of the day. Thanks for sharing these tips man! Thanks for reading. Yeah, server response time is an important factor and that’s we should choose a VPS rather than a shared hosting. I am using a word press theme, named ‘Magazine Prime’. this theme is SEO friendly or not? Please help me answering this query. Yes Magazine prime theme is a perfect SEO friendly theme. Even many big fashion magazine, Health magazine running on the same theme. I love using WordPress. It is, in my opinion, the best tool available for bloggers. It requires nothing but an installation and the website is ready to go. Especially with the many available plugins that help with SEO. Almost anyone with a basic knowledge of SEO can get their blog ranking well by just following the recommendations of the plugins they are using. They are just that good and awesome to use! If anyone is wondering WordPress is what they need for their blog, the answer is a definite YES! If someone has basic knowledge of SEO then he can rank his blog easily but with quality content only. Plugins are supporters but the main factor is your content which will make your site different from others. I love your job really very helpful article keep writing. Thank you sir for sharing about SEO. this is very useful article for me. Glad that my article helps you in any way. Thanks, Akshay. The “hosting issue” is the most overlooked one, at least in my experience. Page speed has a massive influence on your search rankings (Google doesn’t want to present slow loading sites to its users) and yet so many people go the cheap route when it comes to their hosting while spending tons of money on backlinks and things like that. Put away that $10/month hosting and pony up the $50+ per month it’ll take to get some decent hosting – trust me, it’s worth it. Very true Fred, we can get a decent VPS in $30-40/month price range and it will affect very positively in our SEO efforts. Thanks for sharing such a useful Article as SEO one of the most important factor in Blogging…..!! woah! this is mindblowing to me..thank you so much for sharing this…looking forward to more SEO articles!